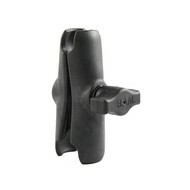 Sterke dubbele twist-lock zuignap voor (glas) glad oppervlakte bevestiging. 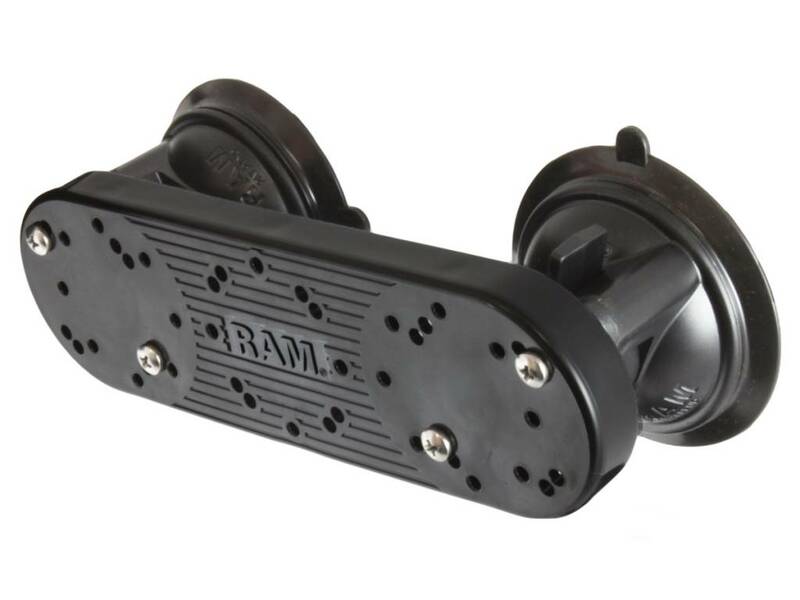 Op de composite basisplaat kunnen drie RAM kogels bevestigd worden. 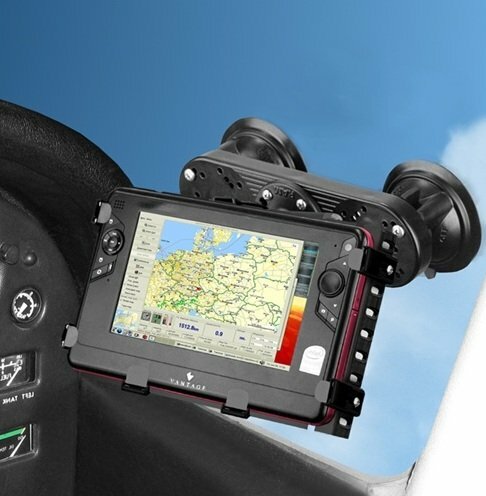 Geschikt voor montage van b.v. zwaardere Tough Trays of meerdere electronica tegelijk. 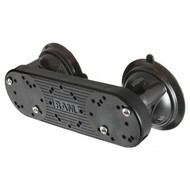 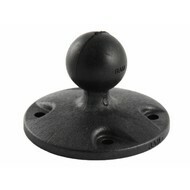 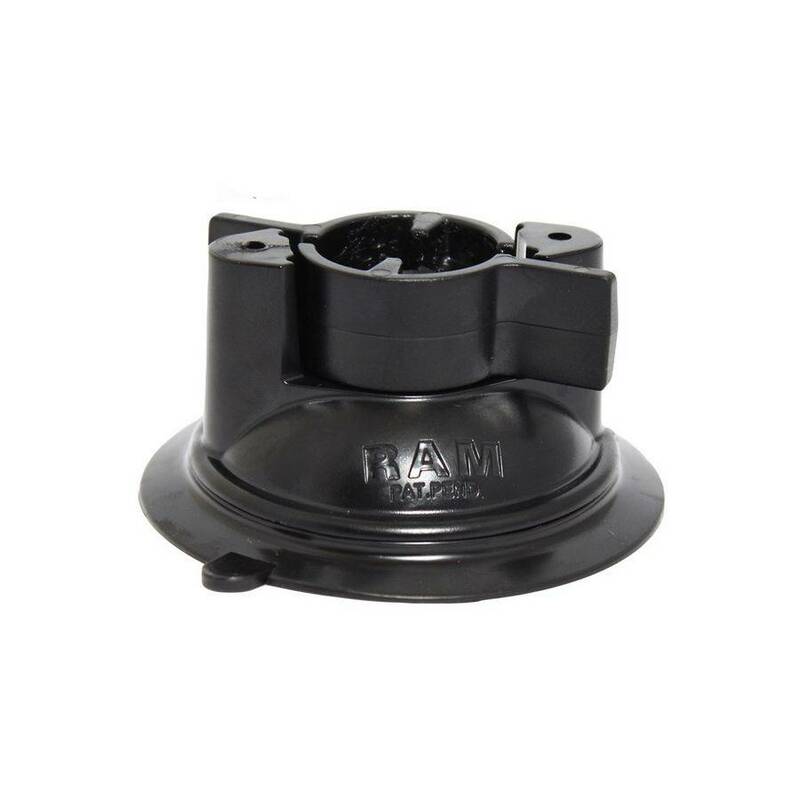 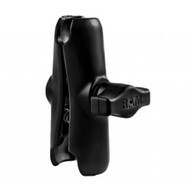 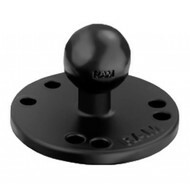 The RAP-333-224-1, double suction cup base, consists of a high strength composite plate attached to two locking suction cup bases. 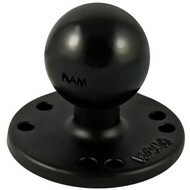 This base has a suction grip which allows you to mount either a RAM-B ball or RAM-C ball system to any non-porous surface including windshields. This base has a suction grip which allows you to mount either a RAM-B ball (1.0 inch ball) or RAM-C ball (1.5 inch ball) mounting system too.